Unique Opportunity in a Point Position, Prestigious Location: Your Choice of 3 Enticing Options. 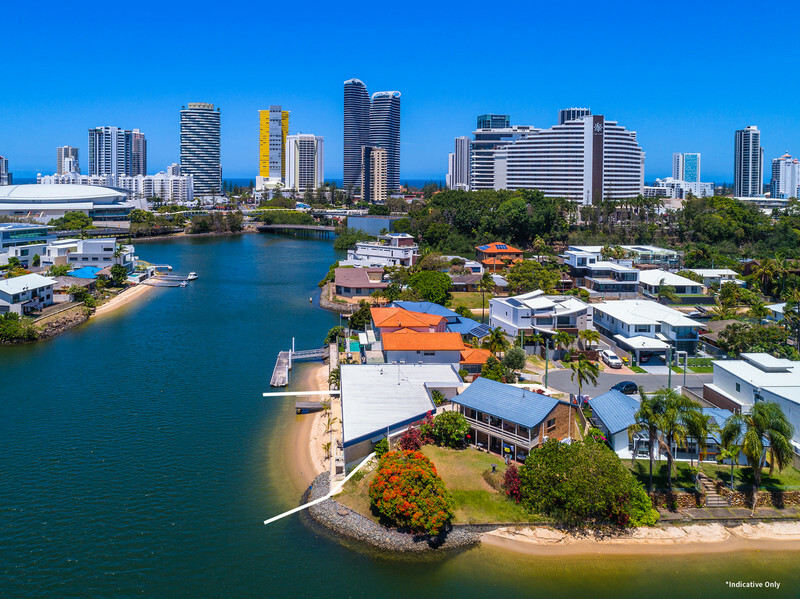 Rarely will you see such a unique real estate opportunity arise, with what is on offer with this point position, north facing, waterfront property. 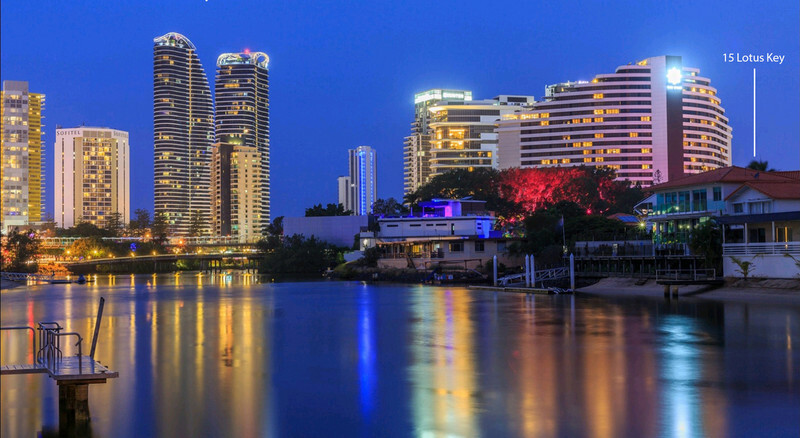 Perfectly positioned in a Broadbeach Waters dress circle location and nestled on a 587m2 fan-shaped block with 32m of wide waterfrontage, it boasts spectacular skyline views which stretch from Broadbeach to Surfers Paradise and is situated within easy walking distance of Star Casino, Pacific Fair and numerous cafes, restaurants and golden beaches. 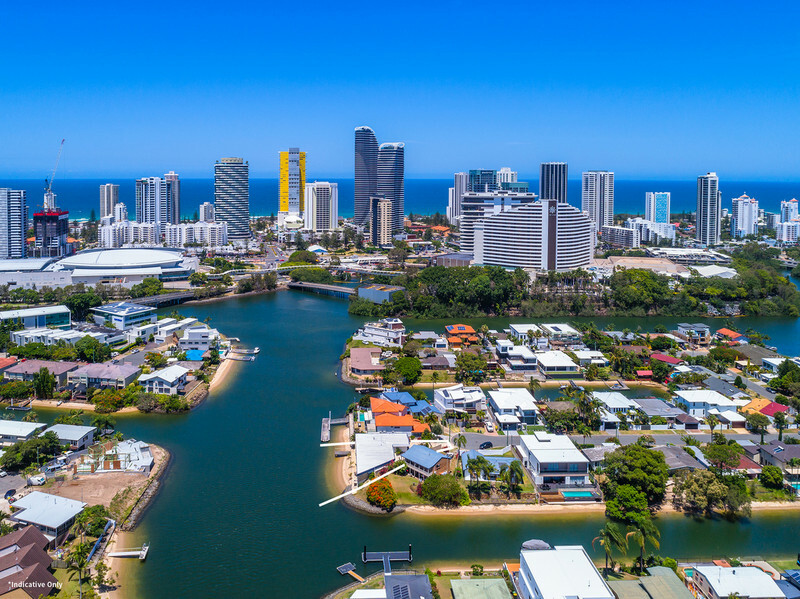 What makes this purchase so extraordinary however are the three enticing options available for you to consider when acquiring this outstanding investment opportunity. 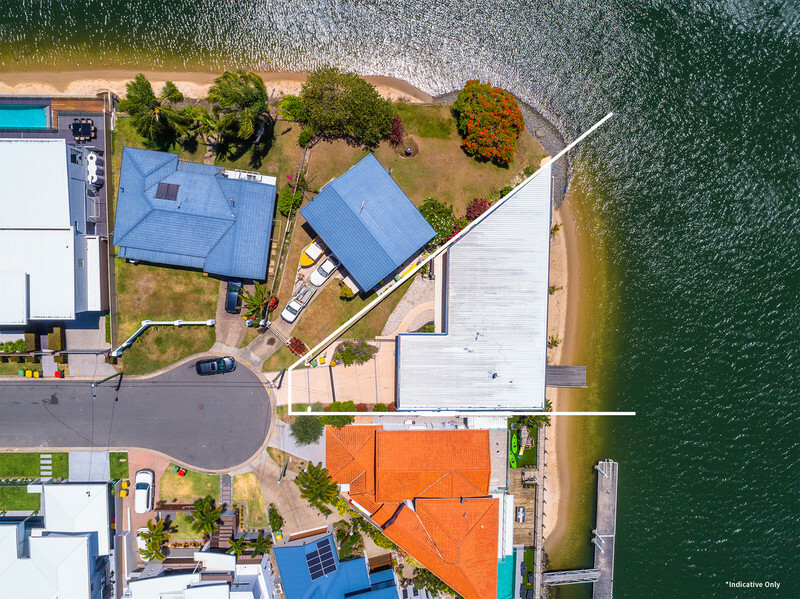 Option 1: Purchase the double brick home in its current condition; featuring 4 bedrooms, 2 bathrooms, open plan kitchen, living and dining with water views, timber jetty, double lock-up garage and an expansive, covered waterside veranda which flanks the length of the home. Investment: All offers to be presented. 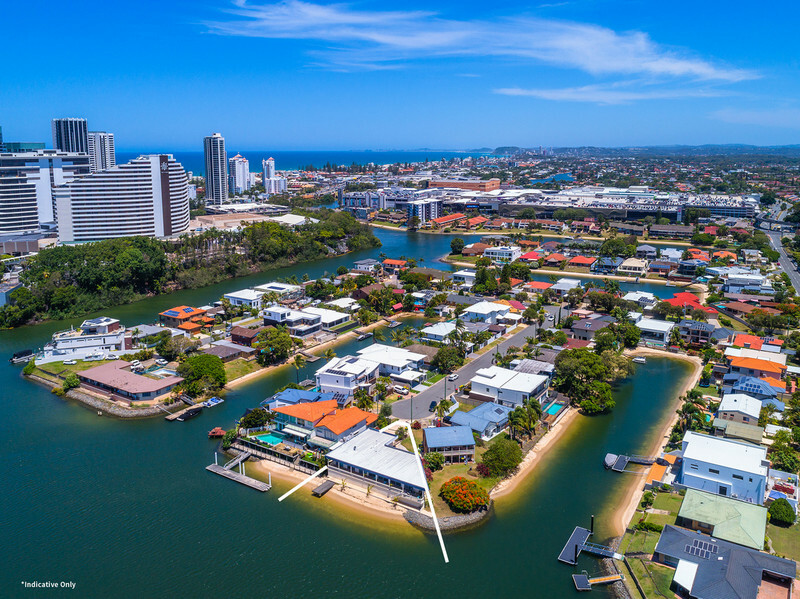 Option 2: – The vendor will build a brand new 552m2 modern residence on this site, set out over two sophisticated storeys and comprising of 5 bedrooms (3 with elegant ensuites), 4 bathrooms, multiple living areas, deluxe kitchen, a vast waterfront alfresco area and inground pool. Investment: $3,495,000. 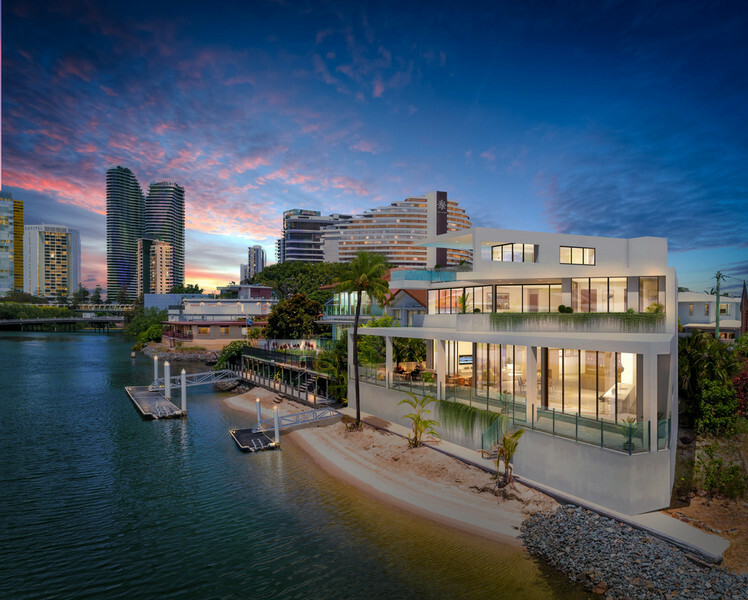 Option 3: The vendor will construct a 1020m2 contemporary residence on this prime piece of real estate. 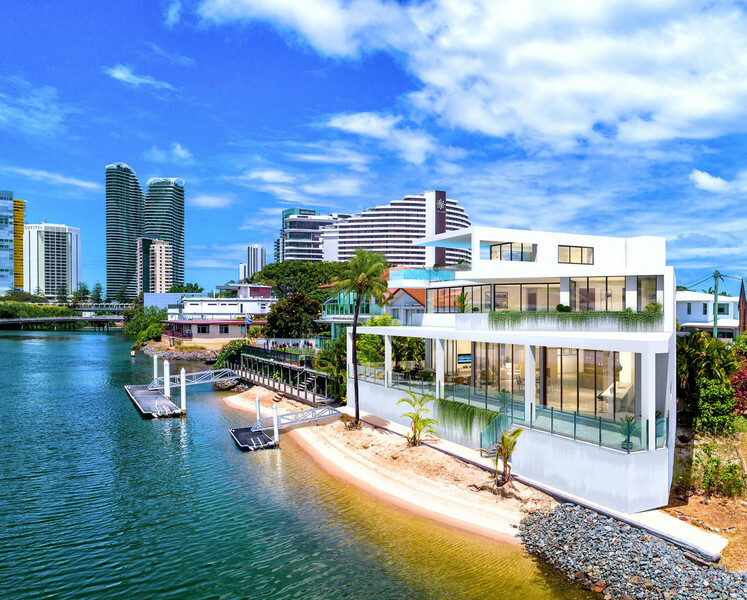 Set out over 4 sprawling levels of luxury, it will boast an internal lift, rooftop pool and entertaining terrace, uninterrupted views north and north-east, 4 ensuited bedrooms, spacious open plan living, dining and kitchen plus a dedicated media room and a 5-car basement garage. Investment: $4,995,000. 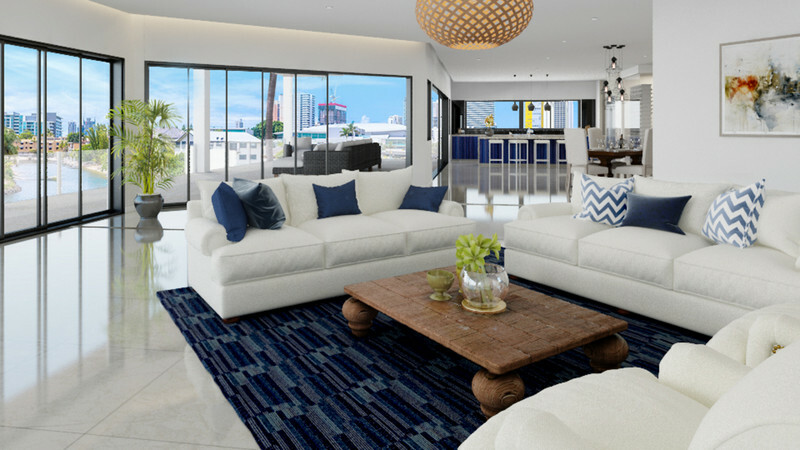 •	Option 3: Vendor will build a 1020m2 contemporary residence, set out over 4 sprawling levels of luxury, with internal lift, rooftop pool and uninterrupted views. 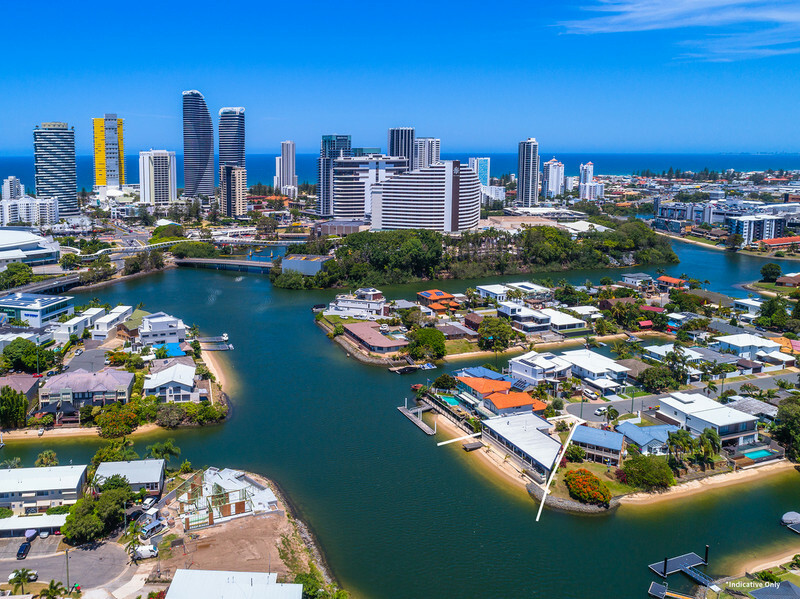 • Owner will look at renting existing property back at $1,500 per week if suitable to the new owner. * Main image artist impression only. 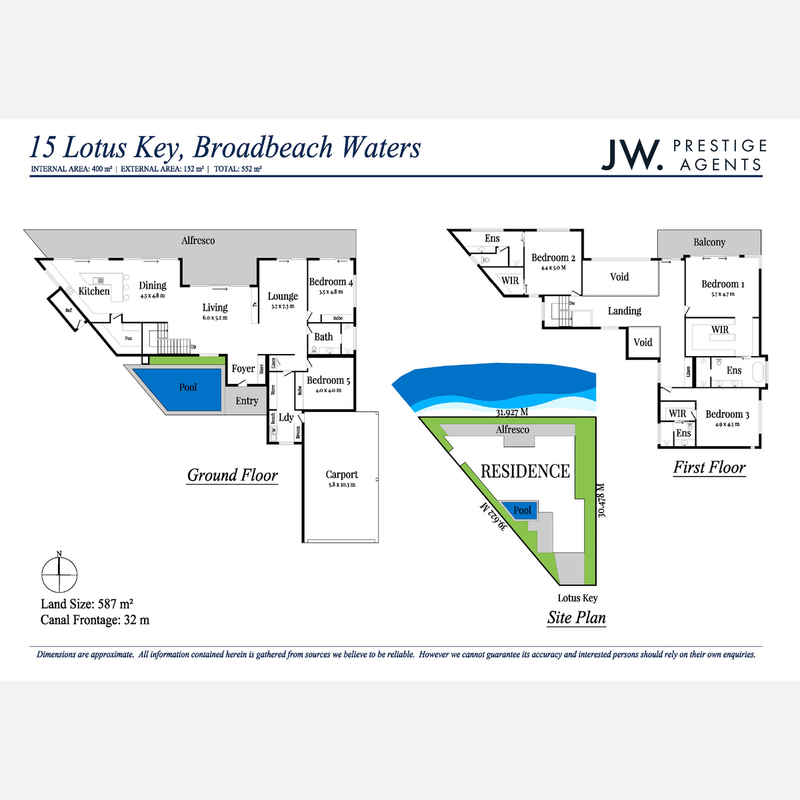 Email agent about 15 Lotus Key, Broadbeach Waters QLD 4218.